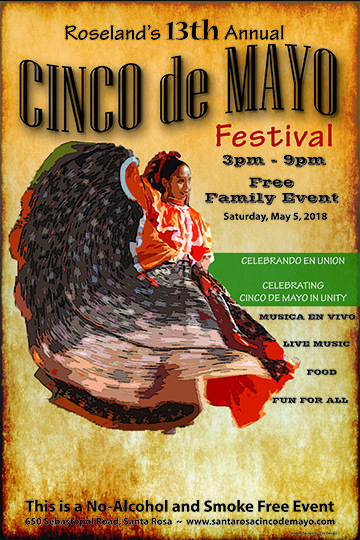 The Roseland Cinco de Mayo Festival is an event organized by voluteers. Community and government officials have taken time to support the Festival with the goal of creating an event that brings people together. The volunteers strive to create a friendly, fun, family atmosphere through a variety of entertainment. As a commuity service, many nonprofit organizations participate as a way to bring information to the community about the services they provide. Information booths are located all around the event.